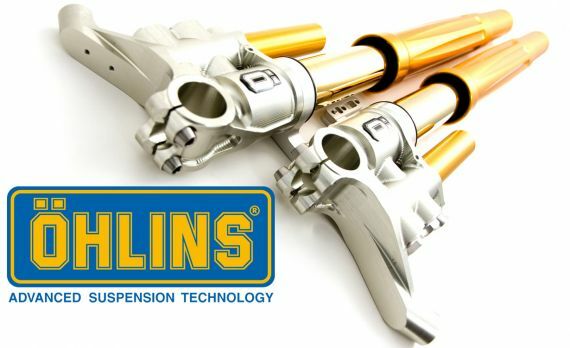 Ohlins is the leader in motorcycle suspension technology. Their Road & Track Forks are the first solution for racers and street riders who need more feedback and response from their suspension. Elite riders can upgrade to the flagship SuperBike forks for the best-of-the-best. Ohlins suspension can be found on many limited edition or premium edition sportbikes. These same components are also available to you as an aftermarket upgrade. Better feedback and response for ultimate riding precision. Better response means better acceleration, deceleration and turning capability. Greater adjustability over functions like compression and rebound. Stock forks may not have any adjustability and if they do, it's limited to only a few options. Looks and prestige...Nothing says "premium" more than a set of Ohlins forks.